Towards the end of the 19th century there was a strong temperance movement in England - not just Yeovil where there were two temperance hotels and two temperance pubs (yes, really). 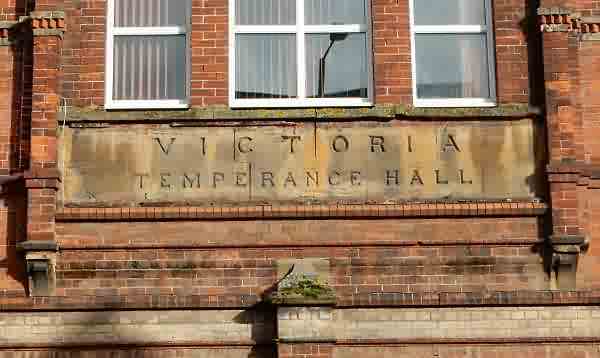 The Victoria Temperance Hall, on the corner of Union Street at its junction with South Street, was built of local red brick in 1887-88 and opened in 1889. It contained two large rooms, holding 300 and 200 people respectively. 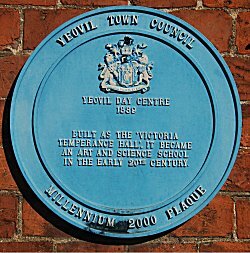 It was built on the site of the yard of the Yeovil Mineral and Aerated Water Company. The building was intended as a local commemoration of Queen Victoria's jubilee. The foundation stone was laid by Lady Theodora Guest in July 1887. The building, consisting of a hall on the upper floor and several rooms on the ground floor, was designed by C and CB Benson, Yeovil architects, and the builder was Mr Andrews of Thornford with a contract price of £968 (in excess of £1.3 million at today's value using the 'economic project cost' algorithm). Whitby's Yeovil Almanack of 1889 noted that the Independent Order of Good Templars met on Thursdays, the Church of England Temperance Society (Adult Branch) met alternate Tuesdays, various Bands of Hope used the hall as did the United Temperance Committee, composed of representatives of all the Temperance organisations in the town. In 1903 Whitby's Yeovil Almanack advertised day and evening classes at the 'Government Art and Science School' in the hall with day classes at £1.1s.0d. per quarter of 10 consecutive weeks and evening classes at 3s. per term. Courses included Physiography (ie physical geography), drawing, etc. 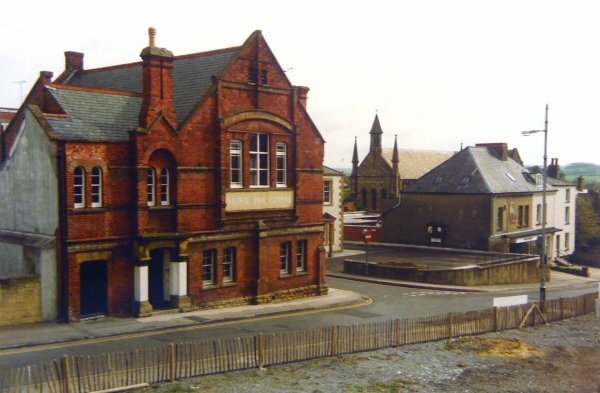 For several years the Victoria Hall was the town's library. It was opened in 1920 by Miss KM Chaffey, with the initial costs being made by public subscriptions. Miss Chaffey had started the "Everybody's Library" in Yeovil in 1891. The library moved in 1928 when the new purpose-built library opened in King George Street. Many thanks to Mike Bolton for the following memories - "The Victoria Temperance Hall was for some time in the 1940's to 1960's the home of St John's gym and boys club, of which I was member. The club ran a number of successful football teams that played in local leagues. The senior team latterly played their home matches in the Larkhill Stadium (formerly the greyhound track and stock car racing venue at the top of Larkhill Road. The "managers" in my time were Pop Warren and Harold Rendall, among others. Gymnastics was a feature and there was a snooker table on the first floor. Camping holidays were also organised. I remember going to Churston Ferrers near Paignton and to somewhere near Littlehampton. On one memorable occasion, Frankie Vaughan visited the club and the Western sent a photographer. I know that my mother bought a copy." 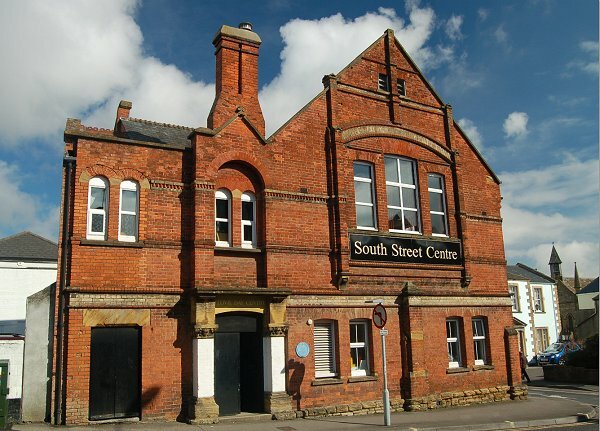 Now the South Street Centre, it is the home of Yeovil Day Centre. 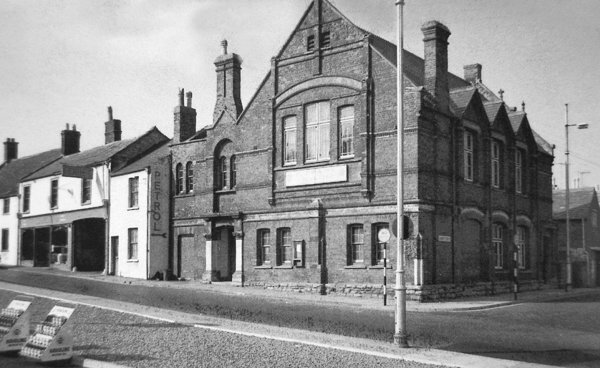 A photograph, taken in the 1960s, of the Victoria Temperance Hall with Union Street at right. At bottom left are sales display units in the forecourt of the South Yeovil Service Station. The fence is in front of what had been the South Yeovil Service Station (previous photo). This photograph, of about 1992, looks across to the Day Centre (the former Victoria Temperance Hall) and Union Street. The South Street elevation, photographed in 2013. 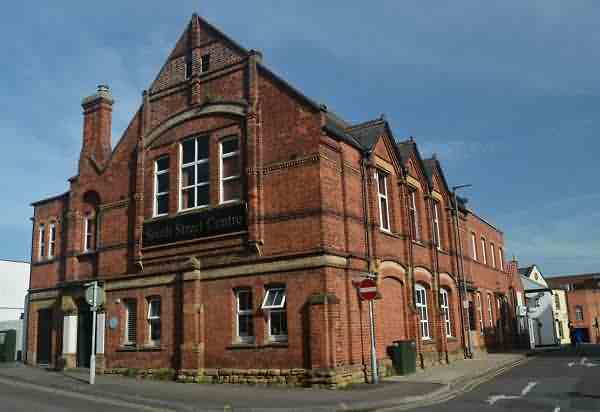 The hall is now called the South Street Centre. During the storms of January / February 2018 the 'South Street Centre' sign was lost, revealing the building's original signage. The foundation stone in Union Street, laid by Lady Theodora Guest. Photographed in 2013. 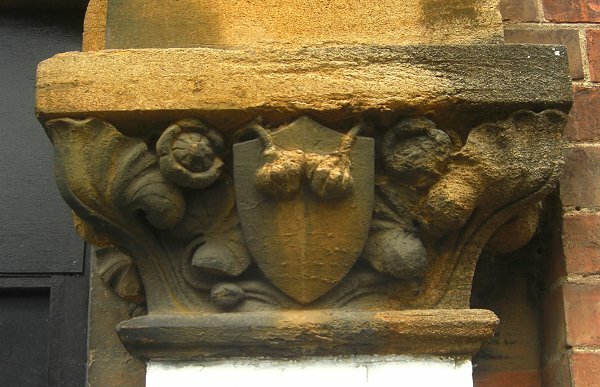 A decorative carved stone capital flanking the South Street entrance. Photographed in 2013. 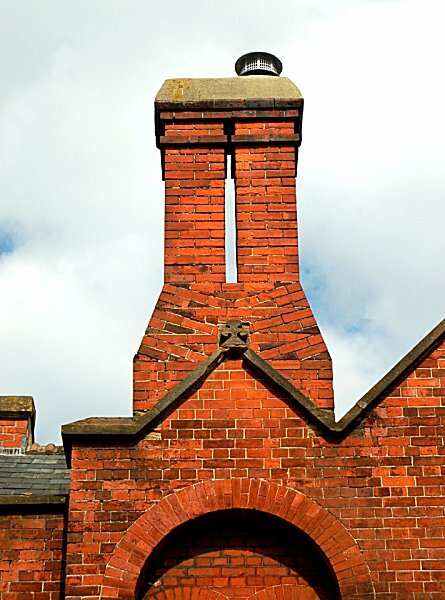 This fantastic example of Victorian brickwork demonstrates the craftsman's skill as well as the detail that was lavished on such buildings. 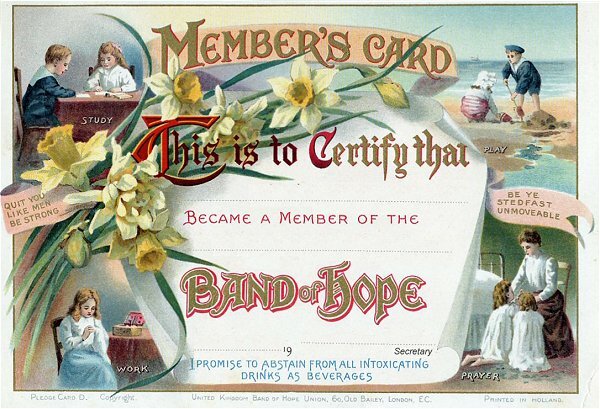 A 'Band of Hope' membership card from around the time of the First World War.